How do i find my private keys in my blockchain.info wallet? 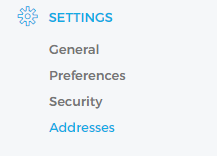 I've tried numerous times to find private key in settings/addresses, but can't find any. My question is not like the other problems here, because i cannot even see my private key. 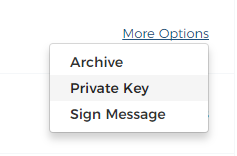 I can find xPub extended private key on my default wallet. But is that the same thing? Not the answer you're looking for? Browse other questions tagged blockchain.info private-key or ask your own question.